For this project, farmers, Natuur-monumenten (nature conservancy) and Commonland are searching for opportunities in the cooperation between farmers and the organisations that own and manage land. This has been found to be difficult, but not impossible. It promises opportunities for nature inclusive agriculture. An example in the Dutch landscape are Wilko en Hermien Kemp in Kortenhoef. They rent land from Natuurmonumenten and have switched to biological management. Currently, there are 2 additional business plans for a possible transition towards nature inclusive agriculture. Last year, 4 farmers have started experimenting with their soil on 60 hectares and this year, 15 new farmers sampled their soil last December. They are also likely to start using new forms of fertilization. Furthermore, it is great to see that Natuurmonumenten also experiments with soil biology on a dozen plots in the Vechtplassen area. Bokashi is Japanese for fermented organic matter, which can be made from organic rest streams (in this case nature cuttings) and can be applied as a rich soil improver/fertilizer. 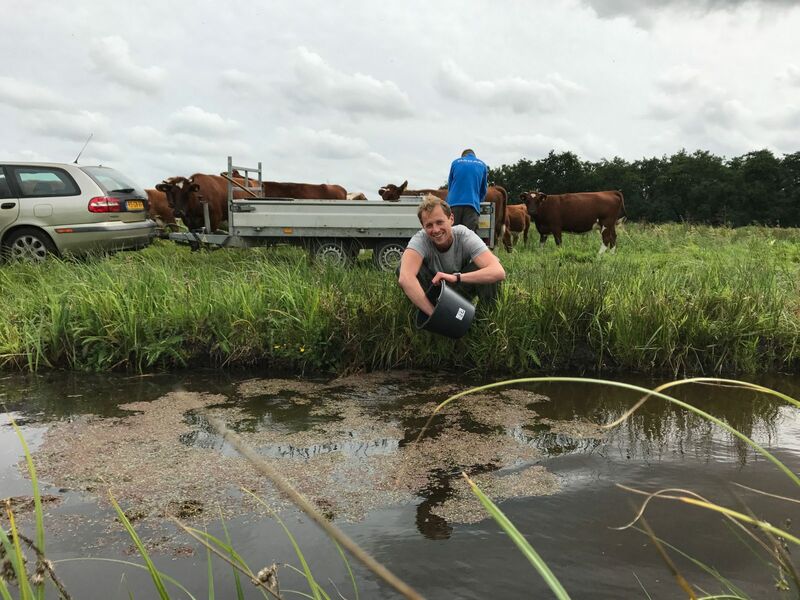 Last year, 3 farmers on the Dutch landscape have committed to start with creating and using Bokashi and this year the group will probably grow to 10 farmers The first batch has already been spread. Additionally, the ‘worm pilot’ has started. This pilot aims to make raw materials from a waste material. With the right recipe and the right conditions, a natural composting process can be done much faster. The search for such a quick recipe for slurry is the objective of this pilot project. The starting point is that after this pilot, farmers can use a ‘worm-juice’ recipe to make high-quality soil nutrition. Making worm compost is not a complicated operation. 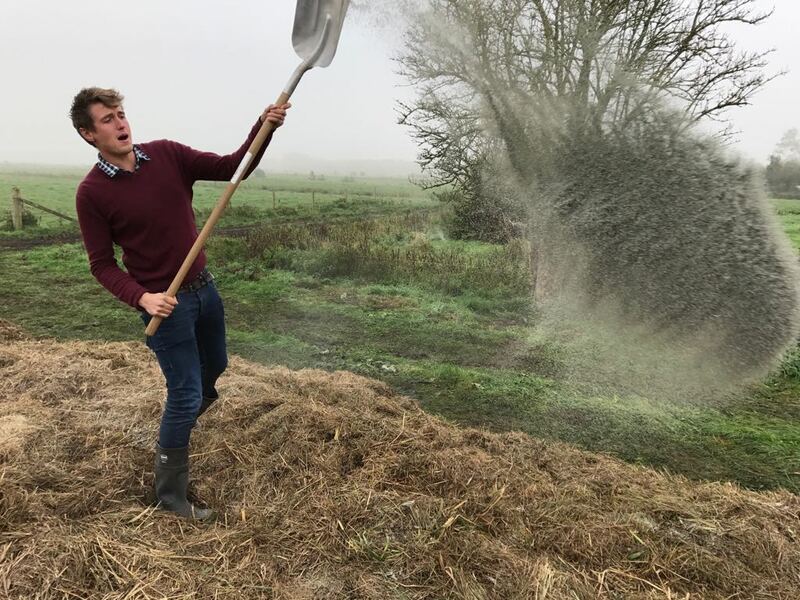 Every farmer can do this if (s)he has sufficient compost worms and knows the process. Finally, there have been many exchanges with other initiatives and parties, such as the Rotterdam School of Management Challenge, where 100 masters students visited the Peatland Innovation Centre in Zegveld, to think about possible solutions for the Dutch land degradation in the peatland areas. 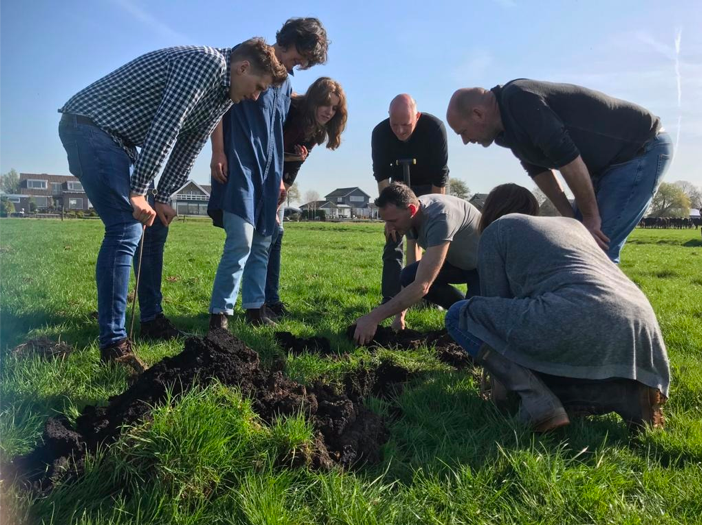 Also, there has been visit of the Innovation Network Midden Delfland, to the peat meadow landscape to exchange knowledge and get inspired.